Here is my latest interview on Primo Nutmeg. Discussion topics include alternative currencies, credit, central banks, the Federal Reserve, Austrian economics, the gold standard, bitcoin, geopolitics, and the relationship between U.S. foreign policy and the global system of money and finance. In a landslide vote Texas lawmakers approved (by a margin of 140 to 4 in the Texas House and 27 to 4 in the state Senate) a bill to establish a gold depository bank. The bill was signed into law in mid-June by Republican Governor Greg Abbott. In this interview Texas State Representative Giovanni Capriglione, author of the bill explains how this new law came into being and what it does. This is a surprising turn of events that is reminiscent of the private NCBA (National Commodity and Barter Association), a gold depository that was harassed and finally put out of business by government thirty years ago. This bank, if it ever comes into being under the aegis of the Texas state government, will not so easily be quashed by the feds, After all, you “don’t mess with Texas.” It could lead to a payment system that is independent of the Federal Reserve and provide depositors with some protection against the continuing inflation of the US dollar. But the gold market is very much manipulated and controlled by the big holders, the various central banks and national governments around the world. It would be better to hold an assortment of basic commodities on deposit to better assure that depositors’ purchasing power will be maintained. Better yet, state governments should support the creation of credit clearing exchanges that enable buyers and sellers to trade with one another without using money at all but simply offset each trader’s payments for purchases against their receipts from sales. In that case, the commodity assortment need only be used to define a unit for denominating members’ account balances. This and other innovative approaches to exchange are all explained .in my books, especially The End of Money and the Future of Civilization, and in my various interviews and presentations on this website. This appeal by Congressman Ron Paul is perhaps the most important proposal by an American politician in the last 100 years. I’m glad to know that Congressman Paul is not limiting his proposal to gold and silver currencies. The most liberating means of payment is “mutual credit clearing” through independent non-bank associations of businesses and individuals. Of course, the credit in such accounts needs to be denominated in some objective units, which could be specified weights of gold or silver, but better still, would be an “index unit” based on a “market basket” of basic commodities that are widely and freely traded. My four books on the subject, and my websites, provide coverage of pertinent concepts and history, and full details on my prescriptions for businesses, communities, and governments.–t.h.g. This monopoly is maintained using federal counterfeiting laws, which is a bit rich. If any organization is guilty of counterfeiting dollars, it is our own Treasury. But those who dare to challenge federal legal tender laws by circulating competing currencies– at least physical currencies– risk going to prison. After all, if our monetary system is fundamentally sound– and the Federal Reserve indeed stabilizes the dollar as its apologists claim–then why fear competition? Why do we accept that centralized, monopoly control over our money is compatible with a supposedly free-market economy? In a free market, the government’s fiat dollar should compete with alternate currencies for the benefit of American consumers, savers, and investors. Such actions are a hopeful sign that the money power, and the political power that goes along with it, are devolving away from Wall Street and Washington and back to our states and communities. The states have a powerful weapon in the form of the United States Constitution, which declares that, no state shall make any thing but gold and silver Coin a Tender in Payment of Debts. Of the two metals, I much prefer silver as the value standard, for several reasons. My main objection to gold is that it is closely held by a few banks and governments that are able to manipulate its market price, and thus manipulate the economy if gold were to play a major monetary role. Silver is much more abundant and widely held, and while present market mechanisms enable a few entities to manipulate its market price, I think parallel mechanisms can be put into place that would assure a freer market giving silver a more stable value. Ideally, however, trading entities will ultimately adopt an objective value measure using a composite commodity standard composed of a “market basket” of basic commodities. Keynes was not wrong in calling gold “a barbarous relic,” but that’s not the whole story. We must also recognize that central banks, legal tender laws, and credit monopolies are relics even more barbarous than gold. The separation of money and state must ultimately be gained in order to have a truly free and harmonious society. It is well know that Alan Greenspan was in his younger days a follower of Ayn Rand. It may not be so well known that he was also a self-proclaimed advocate of free banking and the “gold standard.” This article of his from 1966 offers some very good insights about the fraud that governments perpetrate upon the people by means of deficit spending and their collusion with the banking (credit) monopoly. It is extremely ironic that he eventually became the head of the central bank that he earlier denounced. While Greenspan argues for the gold standard as a way of imposing discipline upon both government and bankers, he does not seem to oppose the banking monopoly. As I have argued before, while gold might play a role as a measure of value, there is no need to use it as a payment medium nor to revert to a fractional reserve system that relies upon gold reserves. 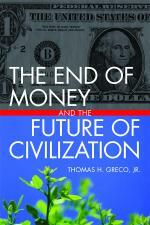 There are better, more refined ways of addressing the money problem.- t.h.g. An almost hysterical antagonism toward the gold standard is one issue which unites statists of all persuasions. They seem to sense — perhaps more clearly and subtly than many consistent defenders of laissez-faire — that gold and economic freedom are inseparable, that the gold standard is an instrument of laissez-faire and that each im­plies and requires the other. In order to understand the source of their antagonism, it is neces­sary first to understand the specific role of gold in a free society. Money is the common denominator of all economic transactions. It is that commodity which serves as a medium of exchange, is uni­versally acceptable to all participants in an exchange economy as payment for their goods or services, and can, therefore, be used as a standard of market value and as a store of value, i.e., as a means of saving. The existence of such a commodity is a precondition of a division of labor economy. If men did not have some commodity of objec­tive value which was generally acceptable as money. they would have to resort to primitive barter or be forced to live on self-­sufficient farms and forgo the inestimable advantages of specializa­tion. If men had no means to store value, i.e., to save, neither long-range planning nor exchange would be possible. What medium of exchange will be acceptable to all participants in an economy is not determined arbitrarily. First, the medium of ex­change should be durable. In a primitive society of meager wealth, wheat might be sufficiently durable to serve as a medium, since all changes would occur only during and immediately after the harvest, leaving no value-surplus to store. But where store-of-value con­siderations are important, as they are in richer, more civilized societies, the medium of exchange must be a durable commodity, usually metal. A metal is generally chosen because it is homogeneous and divisible: every unit is the same as every other and it can be blended or formed in any quantity. .Precious jewels, for example, are neither homogeneous nor divisible. In the early stages of a developing money economy, several media of exchange might be used, since a wide variety of commodities would fulfill the foregoing conditions. However, one of the com­modities will gradually displace all others, by being more widely acc­eptable. Preferences on what to hold as a store of value, will shift to the most widely acceptable commodity, which, in turn, will make it still more acceptable. The shift is progressive until that commodity becomes the sole medium of exchange. The use of a single medium is highly advantageous for the same reasons that a money economy is superior to a barter economy: it makes exchanges possible on an incalculably wider scale. Whether the single medium is gold, silver, seashells, cattle, or tobacco is optional, depending on the context and development of a given economy. In fact, all have been employed, at various times, as media of exchange. Even in the present century, two major com­modities, gold and silver, have been used as international media of exchange, with gold becoming the predominant one. Gold, having both artistic and functional uses and being relatively scarce, has always been considered a luxury good. It is durable, portable, homo­geneous, divisible, and, therefore, has significant advantages over all other media of exchange. Since the beginning of World War I, it has been virtually the sole international standard of exchange. If all goods and services were to be paid for in gold, large pay­ments would be difficult to execute, and this would tend to limit the extent of a society’s division of labor and specialization. Thus a logi­cal extension of the creation of a medium of exchange, is the devel­opment of a banking system and credit instruments (bank notes and deposits) which act as a substitute for, but are convertible into, gold. A free banking system based on gold is able to extend credit and thus to create bank notes (currency) and deposits, according to the production requirements of the economy. Individual owners of gold are induced, by payments of interest, to deposit their gold in a bank (against which they can draw checks). But since it is rarely the case that all depositors want to withdraw all their gold at the same time, the banker need keep only a fraction of his total deposits in gold as reserves. This enables the banker to loan out more than the amount of his gold deposits (which means that he holds claims to gold rather than gold as security for his deposits). But the amount of loans which he can afford to make is not arbitrary: he has to gauge it in relation to his reserves and to the status of his investments. When banks loan money to finance productive and profitable en­deavors, the loans are paid off rapidly and bank credit continues to be generally available. But when the business ventures financed by bank credit are less profitable and slow to payoff, bankers soon find that their loans outstanding are excessive relative to their gold re­serves, and they begin to curtail new lending, usually by charging higher interest rates. This tends to restrict the financing of new ven­tures and requires the existing borrowers to improve their profitabil­ity before they can obtain credit for further expansion. Thus, under the gold standard, a free banking system stands as the protector of an economy’s stability and balanced growth. When gold is accepted as the medium of exchange by most or all nations, an unhampered free international gold standard serves to foster a world-wide division of labor and the broadest international trade. Even though the units of exchange (the dollar, the pound, the franc, etc.) differ from country to country, when all are defined in terms of gold the economies of the different countries act as one­ so long as there are no restraints on trade or on the movement of capital. Credit, interest rates, and prices tend to follow similar pat­terns in all countries. For example, if banks in one country extend credit too liberally, interest rates in that country will tend to fall, inducing depositors to shift their gold to higher-interest paying banks in other countries. This will immediately cause a shortage of bank reserves in the “easy money” country, inducing tighter credit standards and a return to competitively higher interest rates again. A fully free banking system and fully consistent gold standard have not as yet been achieved. But prior to World War I, the bank­ing system in the United States (and in most of the world) was based on gold, and even though governments intervened occasion­l1y, banking was more free than controlled. Periodically, as a result of overly rapid credit expansion, banks became loaned up to the limit of their gold reserves, interest rates rose sharply, new credit was cut off, and the economy went into a sharp, but short-lived re­cession. (Compared with the depressions of 1920 and 1932, the pre­-World War I business declines were mild indeed.) It was limited gold reserves that stopped the unbalanced expansions of business ac­tivity, before they could develop into the post-World War I type of disaster. The readjustment periods were short and the economies quickly re-established a sound basis to resume expansion. But the process of cure was misdiagnosed as the disease: if shortage of bank reserves was causing a business decline — argued eco­nomic interventionists — why not find a way of supplying increased reserves to the banks so they never need be short. If banks can con­tinue to loan money indefinitely — it was claimed — there need never be any slumps in business. And so the Federal Reserve System was organized in 1913. It consisted of twelve regional Federal Re­serve banks nominally owned by private bankers, but in fact government sponsored, controlled, and supported. Credit extended by these banks is in practice (though not legally) backed by the taxing power of the federal government. Technically, we remained on the gold standard; individuals were still free to own gold, and gold continued to be used as bank reserves. But now, in addition to gold, credit extended by the Federal Reserve banks (“paper” reserves) could serve as legal tender to pay depositors. When business in the United States underwent a mild contraction in 1927, the Federal Reserve created more paper reserves in the hope of forestalling any possible bank reserve shortage. More disastrous, however, was the Federal Reserve’s attempt to assist Great Britain who had been losing gold to us because the Bank of England refused to allow interest rates to rise when market forces dictated (it was politically unpalatable). The reasoning of the authorities involved was as follows: if the Federal Reserve pumped excessive paper re­serves into American banks, interest rates in the United States would fall to a level comparable with those in Great Britain; this would act to stop Britain’s gold loss and avoid the political embarrassment of having to raise interest rates. The “Fed” succeeded: it stopped the gold loss, but it nearly destroyed the economies of the world, in the process. The excess credit which the Fed pumped into the economy spilled over into the stock market — triggering a fantastic speculative boom. Belatedly, Federal Reserve officials attempted to sop up the excess reserves and finally succeeded in braking the boom. But it was too late: by 1929 the speculative imbalances had become so overwhelming that the at­tempt precipitated a sharp retrenching and a consequent demoraliz­ing of business confidence. As a result, the American economy col­lapsed. Great Britain fared even worse and rather than absorb the full consequences of her previous folly she abandoned the gold standard completely in 1931,( tearing asunder what remained of the fabric of confidence and inducing a world-wide series of bank fail­ures. The world economies plunged into the Great Depression of the 1930’s. But the opposition to the gold standard in any form — from a growing number of welfare-state advocates – was prompted by a much subtler insight: the realization that the gold standard is incom­patible with chronic deficit spending (the hallmark of the welfare state ). Stripped of its academic jargon, the welfare state is nothing more than a mechanism by which governments confiscate the wealth of the productive members of a society to support a wide variety of welfare schemes. A substantial part of the confiscation is effected by taxation. But the welfare statists were quick to recognize that if they wished to retain political power, the amount of taxation had to be limited and they had to resort to programs of massive deficit spend­ing, i.e., they had to borrow money, by issuing government bonds, to finance welfare expenditures on a large scale. The abandonment of the gold standard made it possible for the welfare statists to use the banking system as a means to an unlimited expansion of credit. They have created paper reserves in the form of government bonds which — through a complex series of steps — the banks accept in place of tangible assets and treat as if they were an actual deposit, i.e., as the equivalent of what was formerly a deposit of gold. The holder of a government bond or of a bank deposit created by paper reserves believes that he has a valid claim on a real asset. But the fact is that there are now more claims outstanding than real assets. The law of supply and demand is not to be conned. As the supply of money (of claims) increases relative to the supply of tangible assets in the economy, prices must eventually rise. Thus the earnings saved by the productive members of the society lose value in terms of goods. When the economy’s books are finally balanced, one finds that this loss in value represents the goods purchased by the government for welfare or other purposes with the money proceeds of the government bonds financed by bank credit expansion.